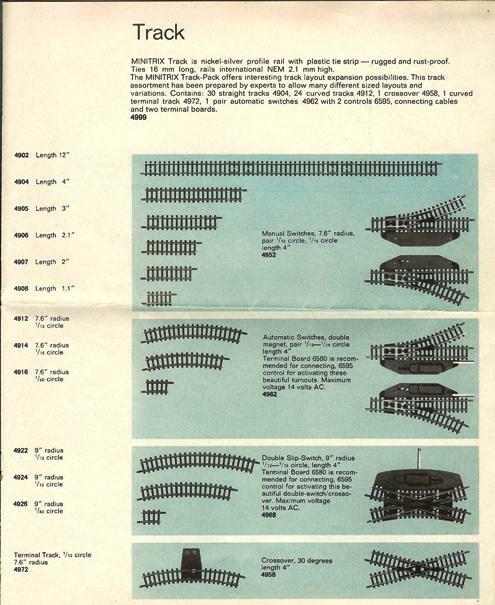 As the N-Scale began to grow, the various manufacturers began to solicit business in the North American market. In a 12 page English language pamphlet, Trix illustrated its line of Minitrix products. 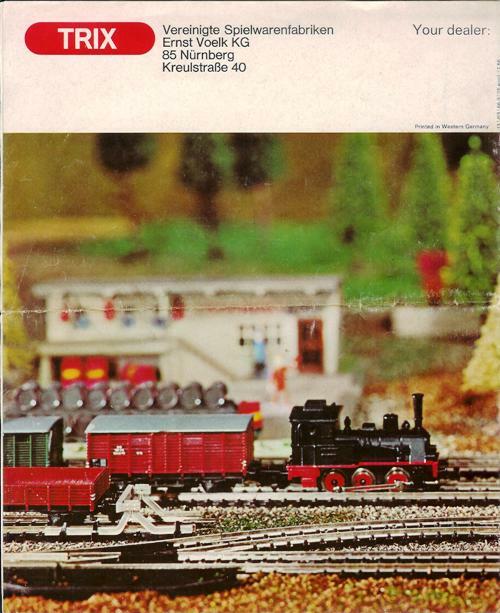 The items shown were the same as shown in the 1965 German language catalog, but additional photos were included. There is no mention of the floor toy trains. 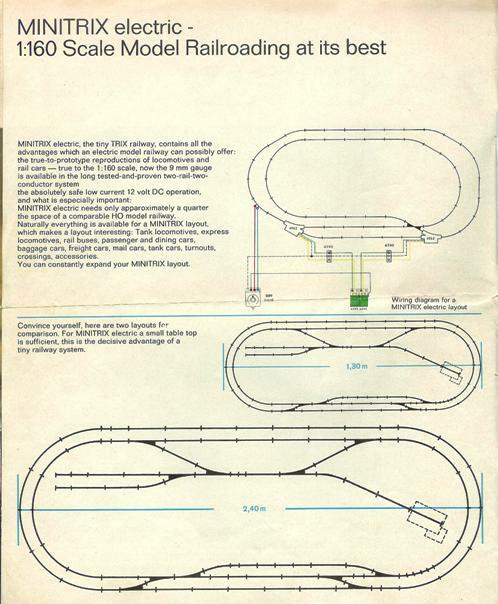 A completed model railroad was shown; this was a commercially manufactured railroad made of vacuum formed plastic, presumably from another manufacturer. 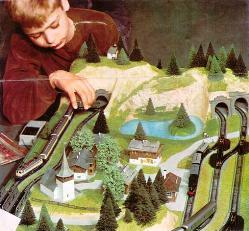 A child is shown playing with the Minitrix trains. The Minitrix track range of that period is also shown. 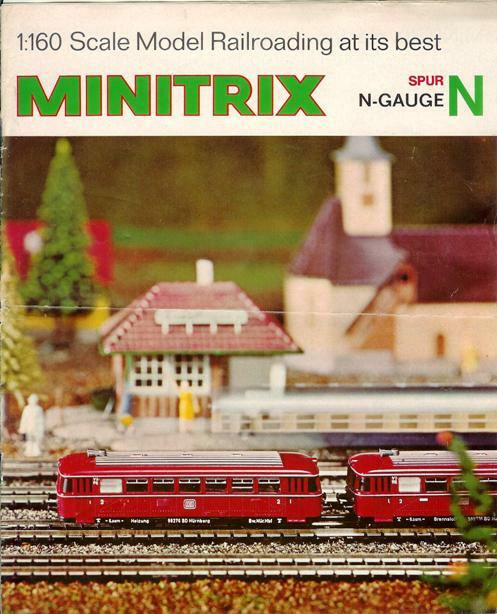 Because N-Scale also used 12 volts DC power, many of the control components used with the H0 Trix items could also be used with the Minitrix trains. 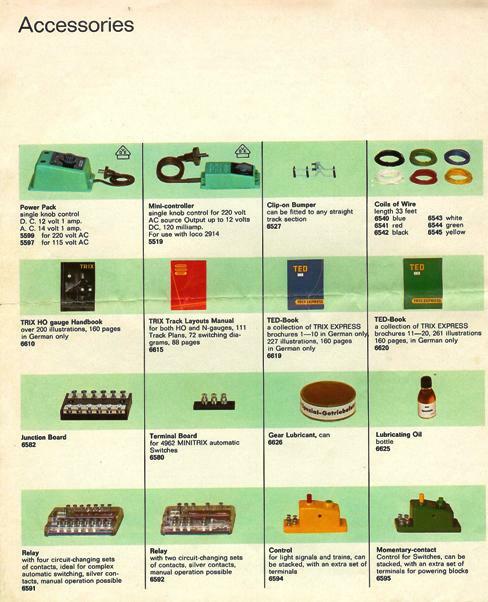 Trix showed their general range of electrical controls in the 1966 pamphlet, including the H0 electrical and track booklets. 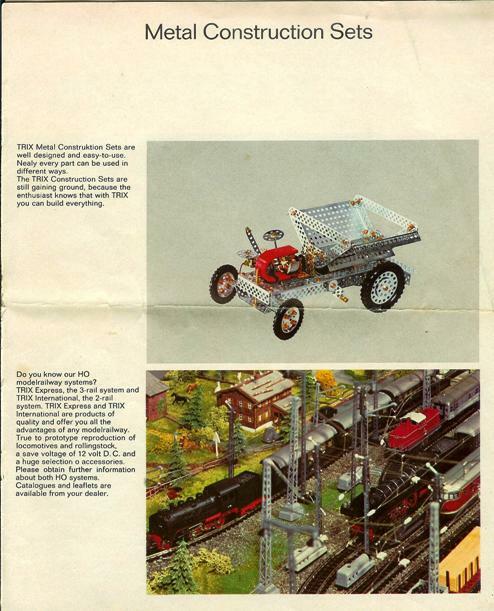 Trix also promoted their metal construction sets and the H0 train lines in this Minitrix brochure. The back cover, a continuation of the scene on the front cover, includes the production date of the brochure, 7/66, June, 1966. Trix is still owned by Ernst Voelk as of this date.